Flying over the Nasca Lines takes 1 hour in the air from Ica, upon arrival to the airport, passengers will register in our counter, we will verify your information and then you will proceed to the boarding room 30 minutes before the flight. Once we have received clearance from the control tower, we will depart heading to the Nazca desert climbing to an altitude of 4500 feet, while we arrive there you can enjoy the fantastic view of the Huachachina lagoon and enjoy the sand dunes that are found all over the way, upon arrival the control tower will clear the airplane to descend to either 2500 feet or 3000 feet (entry altitudes for the Nazca Lines Flight) you are going to see 13 figures; The Astronaut(35 meters), the Monkey(110 meters), The Condor(135 meters), The hummingbird (97 meters), etc.) 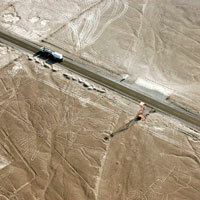 Before the flight you are going to watch an information video about the different theories about the Nazca Lines. Our fleet consists of Cessna aircraft, models 206 and 172’s; we fly with a pilot and a tour guide, to ensure you have complete and accurate information about the Lines; we fly to the right and left side around the figure, that means you won’t have any problem observing the figures. 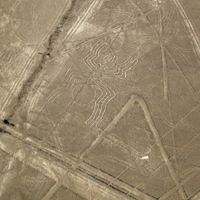 The flight over The Nazca Lines takes 30 minutes in the air, in that time you are going to see 13 figures; The Astronaut(35 meters), the Monkey(110 meters), The Condor(135 meters), The hummingbird (97 meters), etc.) 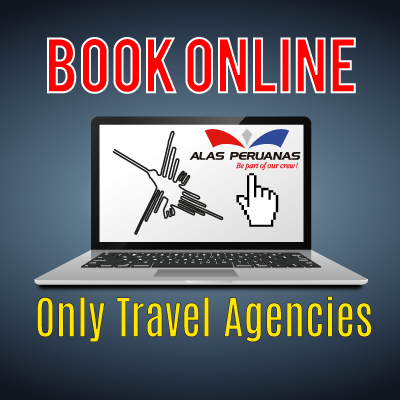 Before the flight you are going to watch an information video about the different theories of the Lines. The aircrafts are CESSNA 172 Private flight with 2 pilots (pilot and co-pilot) and 2 passengers and CESSNA 206 with 2 pilots (pilot and co-pilot) and 4 passengers each passenger has a window seat; we fly to the right and left side around the figure. It means you are not going to have problem to see the figures. We pick you up from your hotel at the according time to go to the airport to do this tour in Nazca, it is important to carry the original passport, arriving at the airport our pilots and our counter will be waiting for you to reconfirm your information taking you weight for balancing the plane and then they will give you the information about the time of your flight. 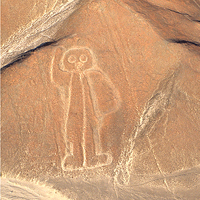 You will be waiting for your flight watching an information video about the Ancient Nazca civilization and about the difference theories about the lines. After getting the time of the flight from the control tower we take you to the plane 15 minutes before your flight for having time for pictures and to give you the briefing about your flight, there are 2 levels designated for the control tower for flying the Nazca Lines, the altitude for the first level is 2500 feet and the second level is 3000 feet. 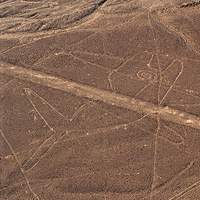 We will give you a map of the circuit of the flight with the 20 figures, this Nazca Lines Flight takes around 35 to 40 minutes in the air; you will see these enigmatic figures that were studied by Maria Reiche during 50 years who said that the Nazca Lines are the biggest Astronomical Calendar, the arqueologist Mejia Xesspe said about the Nazca Lines were religious roads related with the mother earth, fertility, water and the sun.